Every year Lamy release a limited edition colour set of pens and ink in their Safari and AL Star lines. This year’s Safari limited edition was a petrol coloured pen and a matching ink. I have written about the Lamy Safari fountain pen before and my opinions have not changed, if anything my liking for the Safari has increased. When Lamy announced this years limited edition I was immediately drawn to the fountain pen. The matte finish dark teal is a great colour and looks smart with the blackout clip and nib. There is an underlying shimmer to the barrel which you notice in bright light. Black trim on fountain pens can be rare but it works really well on this Safari edition. It compliments the matte finish and the barrel colour but it also makes it stand out. 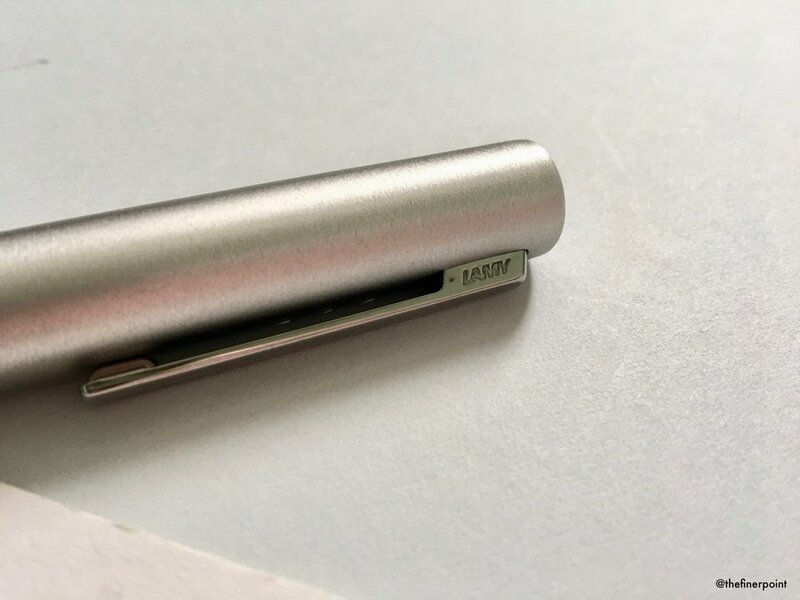 Also a chrome finish on the petrol barrel would have looked awful so this was a wise move from Lamy. I find this colour very similar to the charcoal Lamy Safari. This was the first fountain pen I bought years ago because I really liked the minimalist look and the blackout finishes. The petrol Safari feels similar but the subtle colour makes it that little bit special. Initially I wasn’t going to try the petrol ink as I have quite a few teal inks that I really enjoy using, but…before long I was tempted into giving this a try and rather than buy another bottle of ink I opted for cartridges. The petrol colour is nice but it’s not an ink shade that is particularly exciting. If you enjoy dark or teal inks then you won’t be disappointed with this ink. It has already sold out in most places, but if you know where to look in the UK (cough Paperchase cough) you can still find some ink there with relative ease. I think this has been a very successful 2017 limited edition from Lamy. Last years Dark Lilac was a big hit, I passed on the pen but bought some ink cartridges and enjoyed the colours a lot. This year seems to be another big winner gaining a lot of buzz with the stationery community. I’d love to see some variation next year from Lamy. There have been a lot of greens and blues over the years and personally I’d like to see some other colours. Saying that, this years Lamy Safari is a great release and one I have thoroughly enjoyed.